you can also find tire weights (I'll assume they're approximate) on tirerack.com (look up a specific tire and then go to the spec section). Studied this when I used to race. By far the lightest tires out there are Pirelli's. Also look into Hankook tires. I beleive they have a continental series that is very lightweight. I can definitely understand where u are going with this though. On my old car i was running Volk te37s and wanted the lightest tire possible. Order some golf shoes, otherwise we might never make it out of this place alive. Thanks...a lot! -both of you. With the size I increase to I'll essentially be fooling my speedo by ~6MPH. So on my weekend trip of 325 miles the car will think it went just 292.5. I can't say the MPG effect will be follow precisely in suit, as I'm probably overlooking a fair amount of physics herein, but as long as that larger circumferance wheel/tire combination is NOT heavier and doesn't lead to higher rotational inertia...then I see NO reason why my (effective) MPG won't increase. Plenty of people throw a larger wheel/tire combo on their cars, but they usually add significant weight along with it. I'm not even looking to wind up even...I'm looking to step up size AND reduce weight all in one. I know what you mean about the TE-37's. Nice. The Racing Hart CPO-35's come in at 7.9 LBS for a 15 X 6 / 15 X 7 ...so I could only imagine where that rim (unavailable) in a 14 would weigh in at. At any rate, those things are pricey as all hell. I'd like to track down the Mazda Miata BBS rims (even just 2), which are very light. 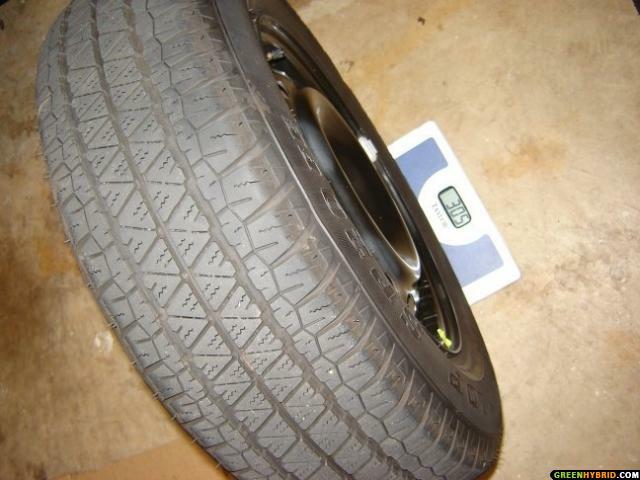 I did wind up finding a very comprehensive wheel site, with a calculator for the tire/wheel conversion & MPH changes. I'll post that in a quick sec. Now I'll have to check tirerack to see if they really do have those tire weights. That would be great. not sure if you check craigslist, but the DC section regularly has miata wheel sets for sale in the $300 range. happy hunting!